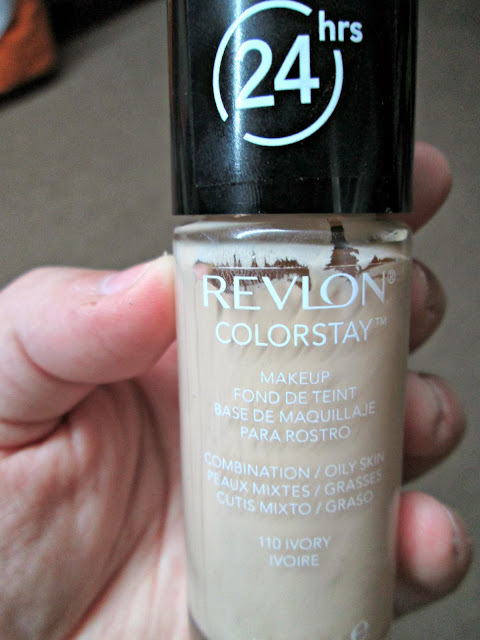 As you can tell by the title, I am reviewing the Revlon Colorstay Liquid Foundation. My foundation is in the shade 110 Ivory. I give this product a 3 1/2 out of 5 stars. * Your skin really needs to be moisturized before you put this on. * Can look cakey in places. * Kind of sinks into your wrinkles and makes you look old. I really, really wanted to like this foundation because it was $10 something. I personally think that is pretty expensive to spend money on something that you are going to get every one or possibly two months. Although, I don't put gobs of foundation on my skin, so my foundation does usually last a long time. I think it would last a long time if I really loved it. It seems like it has a lot of product in it. I really hate that it just doesn't work for my skin. I don't recommend this foundation if you have any dry skin at all. It just clings to the dryness and makes it look cakey. This could possibly work for oilier or smoother skin.